Artist Calvin Pollard recalled the Remsen Mansion in this watercolor done around 1843. from the collection of the New-York Historical Society. In the first years after the Revolution Cherry Street rivaled Broadway as the city's most fashionable residential street. Perhaps none of its stately residences, including that of George Washington, could outdo that of Henry Remsen in terms of lavishness and proportions. The massive Georgian style mansion which would eventually be given the address 310 Cherry Street sat on the northeast corner of Cherry and Clinton Streets. Three stories of red brick sat upon a stone base. The main entrance was flanked by pairs of Corinthian columns and sat directly below an elegant Palladio-style window. Both it and the service entrance were accessed by split stone staircases. The high peaked roof, which included a triangular pediment on the Cherry Street elevation was full-height, making the mansion essentially five stories including it and the deep basement level. The mansion was surrounded on three sides by gardens and outbuildings. Hendrick Remsen was born April 5, 1736 and, according to the Year Book of the Holland Society of New-York was "a merchant of eminence in New York and a well-known Whig." In a letter to George Clinton on February 21, 1780, Remsen explained that he had been an "importer of European Goods from 1759 to 1775 and in the West Indian Trade for 12 or 14 years before our serious troubles commenced." He had agents in several American cities as well as in France and Holland. His wife was the former Cornelia Dickenson. The article added, "He lived in a large red brick house on the corner of Cherry and Clinton Streets." The Remsen family traced their American lineage to Rem Jansen Vanderbeeck, who arrived from Westphalia in the first half of the 17th century. The Revolution caused major upheaval in both Remsen's business and domestic lives. Like many wealthy patriots, when the British occupied New York, he abandoned his mansion. He took his family to Morristown, New Jersey where, according to historian Walter Barrett in his 1870 The Old Merchants of New York City, he owned saw mills and 1,500 acres of land. Remsen's business ground to a near halt as war interrupted his ability to obtain and ship goods from abroad. 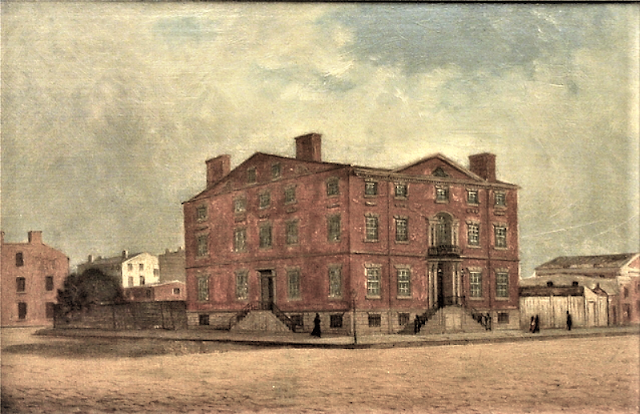 The family returned to the Cherry Street house following the war, but Remsen's concern over his ability to recover was evidenced in a letter to George Washington dated May 11, 1789. He said in part "On the return of peace I found my situation so embarrassed by the calamitous events of the War, as rendered me incapable to recommence mercantile pursuits." But with the intervention of the Government and understanding creditors, he restored his personal wealth and the reputation of his firm. Remsen's son, Henry, Jr., was perhaps even better known than his wealthy father. Born in 1762 he was secretary to John Jay during his office as Secretary of Foreign Affairs, and to President Thomas Jefferson. In 1790 he was taken as a partner in Henry Remsen & Son, and in 1793 became a teller of The United States Bank (a position more like a vice-president today). In 1799 he entered The Manhattan Company, where he remained until 1840. He and other wealthy New Yorkers tried to pick up the pieces of their broken institutions. In 1880 historian Martha J. Lamb in her History of the City of New York, recalled "Business revived slowly. As spring  advanced the mercantile interests of the city were discussed with vigor, and various were the methods proposed for encouraging trade." The "old members" of the Chamber of Commerce, "who had been exiles from the city for seven years, as well as many of those who had kept up the meetings during the war," met to reestablish the institution. Among the wealthy merchants on April 13 to form The Chamber of Commerce of the State of New York was Henry Remsen. Hendrick Remsen had died on March 13, 1792. Cherry Street was home to eminent patriots at the time. At No. 5 was John Hancock, at No. 7 lived Edward Fox, of the General Hospital Department during the war, for instance. Cornelia died in the house on July 24, 1816 at the age of 72. 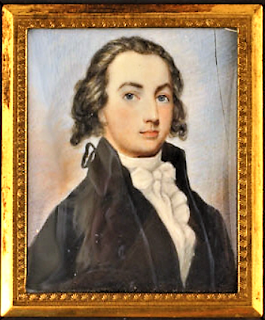 In 1808 Henry, Jr. married Eliza, daughter of Abraham R. De Peyster, the same year he became president of The Manhattan Bank. The newlyweds would need the spacious Cherry Street house--they had nine children. Walter Barrett described Henry as "as polite as a French dancing master and, with all, most scrupulously honest, in so much that all his private penny-postages he received at the bank he paid himself from his private funds." Barrett mentioned "All the old folks may remember the immense double house, of brick walls, Remsen...occupied to the last, on the corner of Cherry and (now) Clinton streets, within 100 feet of his relative, Colonel Rutger's, private yard, at that time quite out of town." Despite his own vast wealth, Remsen was parsimonious; a trait that extended to his banking business. Bank clerks dealt with numerous bundles of bills, bound by a paper band held by a pin. Barrett wrote "Remsen, in supervising the business would frequently remark, at the desk where the pins were hurriedly taken out and dropped on the floor, 'that the clerk would lose more pins than his salary would amount to.'" Early in 1840 Remsen was nudged out of his presidency of the Manhattan Company bank by less conservative members. On February 21 the year that Remsen The Morning Herald wrote "This gentleman was highly respected, and universally esteemed;--few men have maintained the high and exalted character of Mr. R.; he is still living; and since the explosion of the company, he has seen in Wall st.--He says, that he does not understand banking as now practised." Still living with his parents in the Cherry Street house was son William, who by now administered the family's extensive real estate holdings. On February 18, 1843 Henry Remsen died after a short illness at the age of 81. The New-York Daily Tribune announced four days later "The relations and friends of the family are respectfully invited to attend his funeral from his late residence, corner of Cherry and Clinton streets, this afternoon." William was quick to begin selling the valuable property. Two days after the funeral, on February 24, The Evening Post ran an advertisement for "Two valuable lots of ground on Cherry st., adjoining Henry Remsen, Esq. 's house." William and his brothers turned their attentions eventually to public transportation. In 1854 the Third Avenue Railroad was opened and by 1867 was deemed by The New York Herald, "this great railway." The newspaper noted "William and Henry R. Remsen are the heaviest shareholders and own from 1,000 to 1,500 shares each; a brother of these gentlemen owns about 1,200 shares." The Cherry Street neighborhood was, by now, engulfed by commercial buildings. 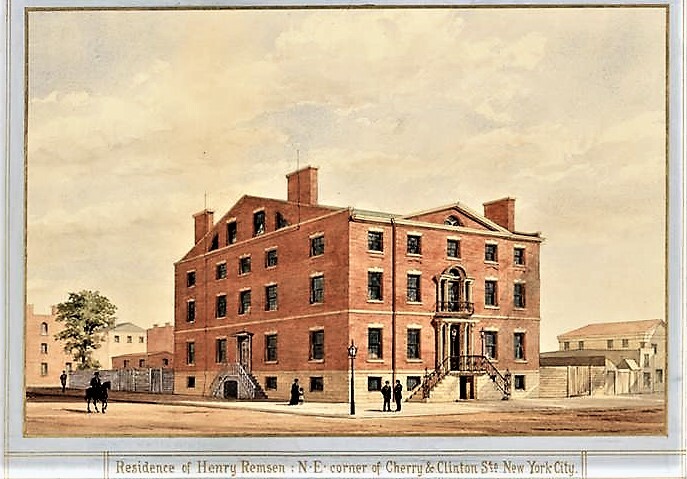 The Remsen families moved to more fashionable surroundings, Henry R. living in a mansion at No. 44 Fifth Avenue by the early 1870s. 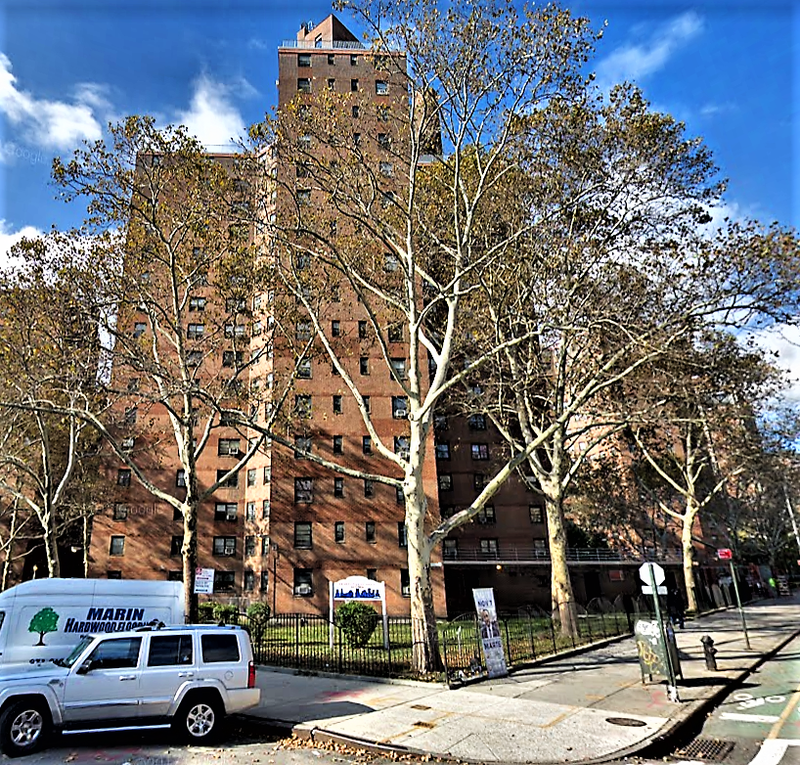 The family house was demolished and today its site is part of the 1957 Fiorello La Guardia Houses projects.